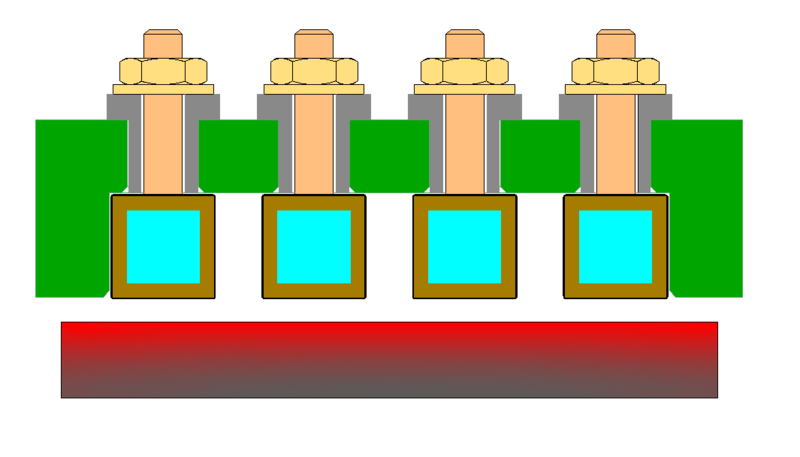 Adhesive bonding (gluing) is the most common method of attaching Fluxtrol concentrators to an induction coil. 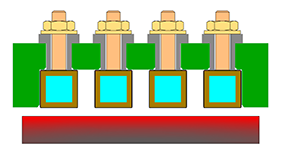 The user must clearly understand the goals of bonding: whether it’s only to keep the controller on the coil or also to provide its intensive cooling by means of heat transfer to the water-cooled coil turns. 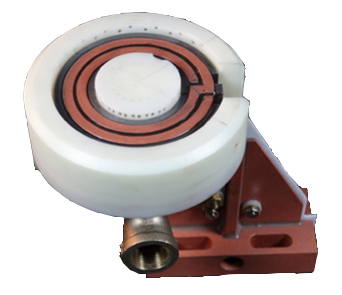 Mechanical connection is the most accurate and reliable method of attachment of controllers to induction coils. It can withstand thermal movements and vibration of the coil components during service. 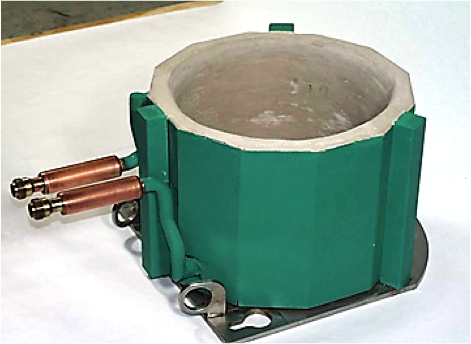 There are many cases when Fluxtrol controllers may be attached not to the coil turns, but to structural components of induction installations such as chamber walls, frames of magnetic shields, etc. The second case is especially important for heavy loaded coils and long heating cycle such as in scanning applications. This case is more demanding and will be mainly described further. Different adhesives may be used for attachment with epoxy resins being the most commonly used glues. 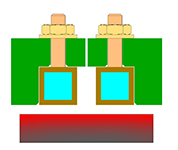 High temperature resistance when the joint area is expected to be hot. 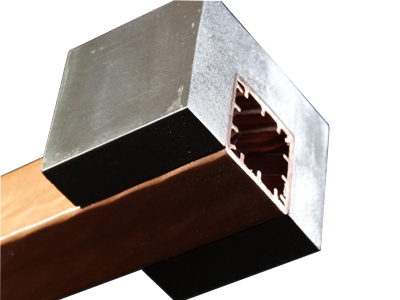 Keep in mind that in high power applications some zones of the copper surface can reach 200 C or even more in spite of intensive water cooling of the coil. If intensive cooling of the concentrator isn’t required, many other glues may be used: epoxies, silicone Adhesive or others. Silicone rubber is a very poor thermal conductor and it can be use only for lightly loaded inductor coils or when the magnetic controller has alternative cooling such as by quenching media after a short heating time. Epoxy and silicone adhesives have good resistance to water, quenchants and chemical resistance. All adhesives with high thermal conductivity are filled with ceramic or metal powder. Select metal-filled materials if you expect cutting or machining of glued material. 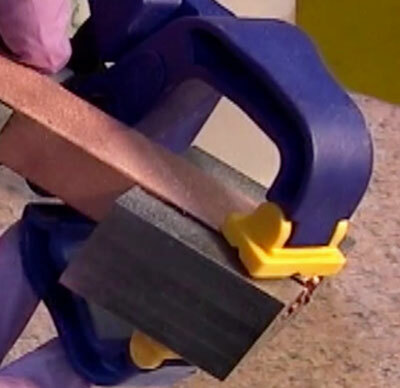 If epoxies with good thermal conductivity aren’t available, it is possible to use common two or single part epoxies filled with metallic (aluminum, copper or iron) powder. 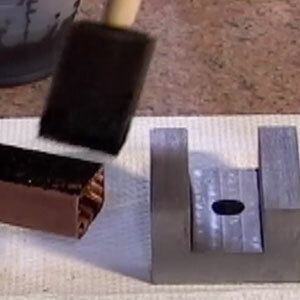 Resulting glue must be thin enough for applying a thin layer of glue to the copper and Fluxtrol surfaces. Follow the curing instructions for the adhesive. Pay attention that there will be no glue spilling from the seam during curing. Spilling can result in forming air pockets and reduced heat transfer. Mechanical attachment of concentrator in combination with a thermally conductive adhesive or paste is the best method. 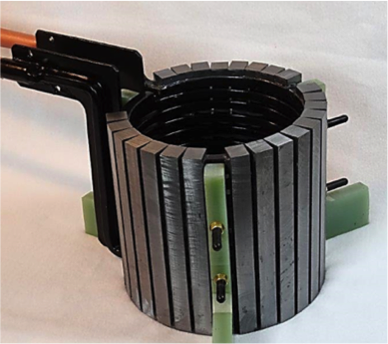 If E-shaped concentrator is broken into two isolated C-shaped sections, no electrical insulation between coil tubing, studs and concentrator is necessary. 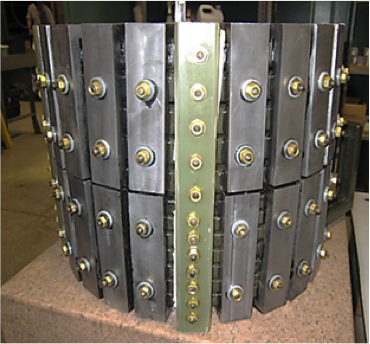 For multi-turn coils it is necessary to insulate concentrator from turns and studs to avoid current leakage through the concentrator which can result in its damage. 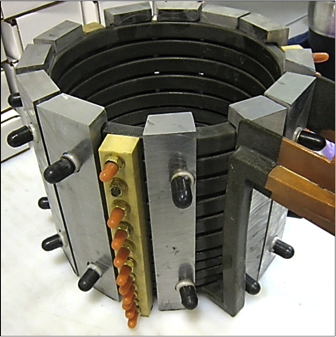 Thin Nylon coating of turns plus a layer of thermally conductive epoxy can provide sufficient concentrator cooling. 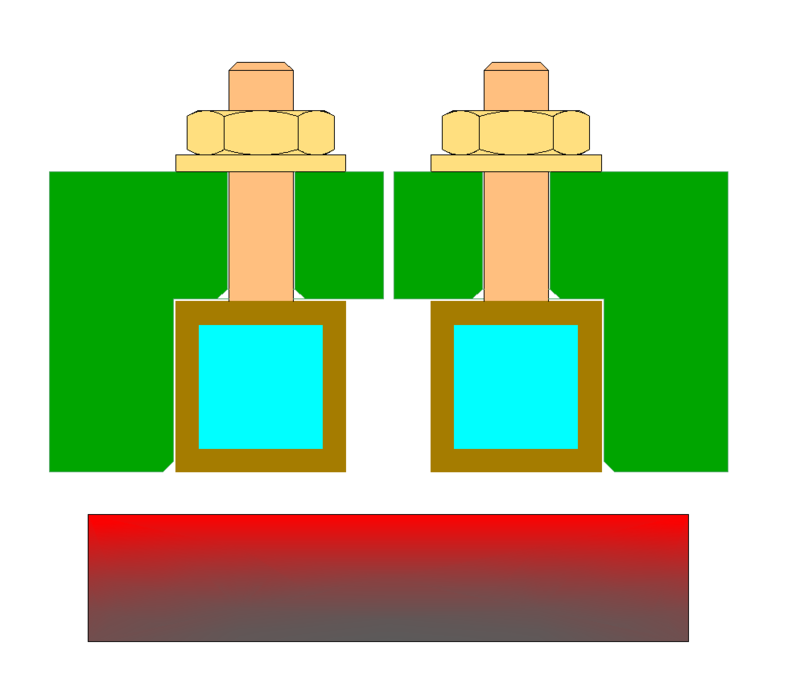 Plastic sleeves and washers may be used for insulation of studs from the concentrator. Though controllers made of Ferrotron 119 or 559H can withstand applied voltage of several hundred volts, electrical insulation is still recommended. 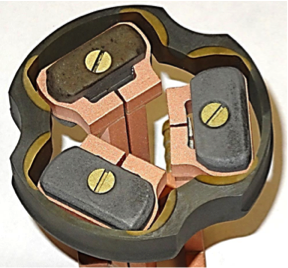 There are many cases when Fluxtrol controllers must be attached, not to the coil turns, but to structural components of induction installations such as chamber walls, frames of magnetic shields, etc. 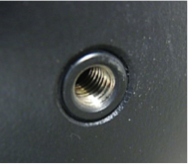 Install insert; to avoid the insert exit from the hole when unscrewing the bolt, it is recommended to place a drop of adhesive when installing insert. Fluxtrol components are widely used to deliver water or polymer solutions for quenching heated parts. To install fitting, tap a proper thread size directly in Fluxtrol and apply adhesive at installation to lock the fitting.